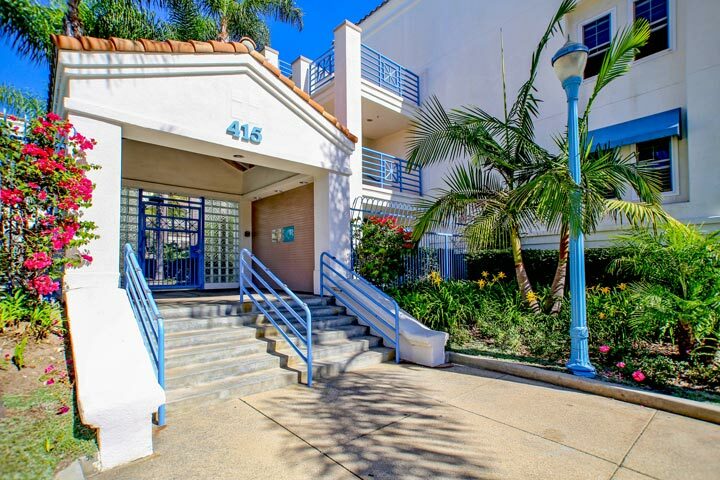 Townsquare condos are located at 415 Townsquare Lane in Huntington Beach, California. The complex was first built in 1989 and features one to two bedroom condos that range in size from 878 to 1,218 square feet of living space. This is a very popular community that offers both condos for sale and for lease near the downtown Huntington Beach area. This building itself is very small and home to only 64 condos that are situated around the community pool as pictured above. The floor plans incorporate open living spaces that combine the kitchen and the living room as well as covered outdoor patio spaces. 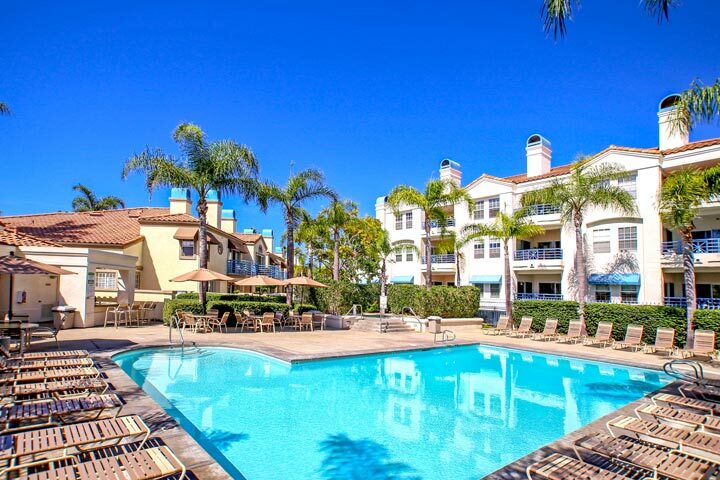 Below are the current Townsquare condos for sale and for lease in Huntington Beach. . The Townsquare condo community is under a homeowners association with monthly dues required. The dues include a gated entrance, resort style pool, jacuzzi, sauna, barbecue and outdoor entertainment area. Units come with parking space in the underground parking level with trash pickup included in the monthly dues. This is considered a prime location in the downtown area within walking distance to 24 hour fitness, local restaurants and shopping. Please contact us at 888-990-7111 with questions regarding this community and any of the condos listed for sale here.